If you don’t already know you can’t do any sort of copying online or you will get nailed to the wall. If you copy on your website the search engines will black list you and probably shut you down in severe cases. And if you copy in content or in a book for instance, you can have your content taken down or face a lawsuit. Quality is everything online and any sort of copy or partial copy is strictly forbidden. This means you will get nailed. This video download shows you easy peasy it is to protect yourself and make certain you aren’t publishing any illegal content. You need to protect yourself and your online business and this is the video that will make that happen. 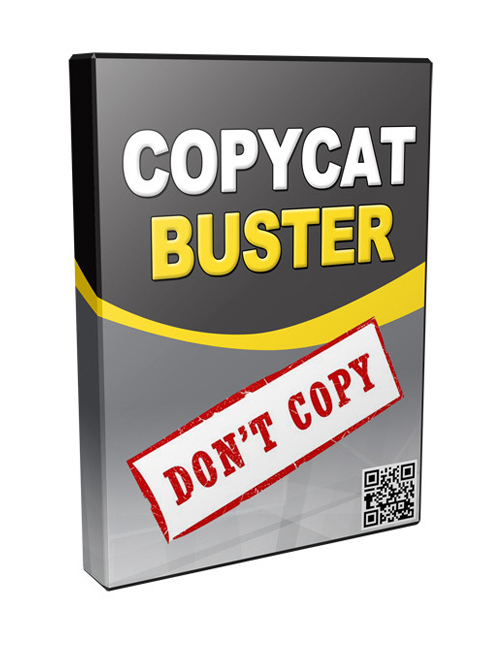 Copycat Buster is your smarty pants move in protection that could be the difference between alive and dead online. You’ve been warned…better grab it right now.